Thrills Casino was created in 2013 by a group of casino enthusiasts who had a goal of bringing color and life into the casino world. 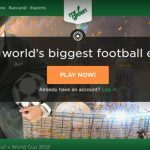 Thrills Casino has a long experience with the European casino world and knows what is important for casino players – excitement and entertainment, as well as a simple and user-friendly gaming site. They have managed to create a strong brand and if you’ve watched a promotion or ad from this casino, you will likely remember their mascot, a goofy old pilot with a cheesy grin. They also have an excellent loyalty program that makes playing a truly unique experience. In addition, the selection of games is huge and it comes from the very best developers in the market. It is often said that after playing at Thrills, you will not return to run-of-the-mill online casinos. Read on to learn more about Thrills Casino. When you join Thrills Casino by creating a new account and make your first deposit, and you will be rewarded with 50 wager-free spins. This offer is only valid in the UK and applies to the first deposit only. This offer is only valid on the first deposit (min. £20). You will receive your 50 wager-free spins in installments of 10 spins daily over 5 days. The 50 wager-free spins are only available on the day they have been credited to your account so make sure you use them all before they expire. There are no wagering requirements on the free spins so you are free to withdraw any winnings obtained from them. Good online casinos have loyalty programs, and Thrills Casino is no different. 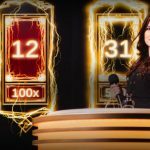 In order to reward their most loyal players, Thrills online casino has developed an ingenious system. 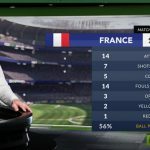 On selected games, the number of bonus rounds you reach will be tracked, and after a certain amount has been reached, you will win a trophy that will be transferred to your ‘Freebies Vault‘. The Freebies Vault contains boosters, which may include Free Spins and bonus money. All rewards from the Freebies Vault are completely free from wagering requirements. Most modern casinos provide the option to play on mobile devices and Thrills Casino is no exception. This online casino offers more than 200 games on their mobile casinos to keep casino lovers entertained on the go. The mobile versions of their casino games are run smooth and are just as entertaining on mobile devices as they are on desktop or laptop. Thrills mobile casino can be accessed via your browser on both iOS and Android. 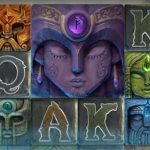 Thrill casino’s game selection offers more than 700 games from 13 game development companies including Microgaming, NetEnt, Play’n GO, Betsoft, Evolution Gaming and Nyx Interactive. This catalogue is actually bigger than most casinos’ and says a lot about their ambition. They have a large selection of classic slot machines, among which is Jackpot 6000 which is popular with many slot players. 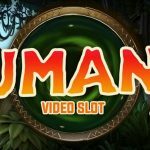 You will also find many other different video slots at Thrills Casino. These are the more modern slot machines which have more features, bigger prizes and a graphics that, along with the rich sound effects, take the game to new heights. Thrills’ game selection does not stop at slot machines. You will also find classics like poker, blackjack, Keno and Bingo. If you would rather buy scratch cards or play live casino, you can do that too. There are many who are somewhat unsure of how safe it is to deposit money at an online casino. Here we have a small tip for you as a player. Always check what payment methods are available and see if the casino has its licenses in order. It is important that the casino provides a good number of different payment methods from reputable providers. At Thrills, you can make deposits with VISA and MasterCard, as well as using a variety of online wallets like Skrill, U-Kash, Neteller, Pay Safe Card, Trustly and Euteller. Proccessing times are also quick, so you should have no problems making deposits and withdrawals at Thrills Casino. Whenever you need help with any issue on the casino or if you have questions about the website, you can easily contact Thrills Casino on their Live Chat from the right side of your screen. Thrills Casino’s customer service is available between 10:00am to midnight. You can get answers to your questions by chat, email or by phone. You can also use their FAQ. Nowadays it’s not uncommon for players to be online playing their favorite casino games in the early hours of the morning, and the casino is considering having customer support available around the clock. 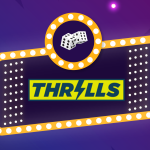 Thrills is run by Betit Operations Ltd, a reputable company registered in Malta that operates under licenses issued by Maltese and British gambling commissions, therefore you can feel safe and play carefree in the knowledge that your winnings are protected. In addition, for your own safety and protection, you can set a deposit limit on your account so that you do not exceed the maximum amount you can afford to spend. In our opinion, there is no doubt that Thrills is an excellent casino and that many players will be impressed with what they have to offer. First, they have a very stylish, colorful and well-organized website with a wide range of slot machines. In addition, they offer 700+ great games delivered by some of the industry’s best providers. The only negative is that customer service is open only between 10:00 and 24:00. However, this should not deter you from trying Thrills Casino. 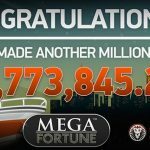 Swedish casino games developer NetEnt, has paid out a whopping €3,773,845.27 jackpot through its Mega Fortune Dreams video slots game. 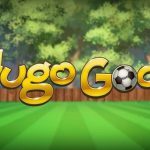 This marks the 5th multi-million Euro jackpot payout in 2018 from the digital gaming provider, having awarded close to 20 million Euros to date. The lucky player who hails from Sweden hit the €3.7m jackpot while playing Mega Fortune™ on LeoVegas casino. The player who has chosen to remain anonymous, had wagered just €4.80 and went on to take the masssive jackpot in early May 2018. Earlier this year, Mega Fortune paid out €2.5m on Jan 23, followed by another €2.6m jackpot on March 7. So far, the company has made 5 instant millionaires. This streak of jackpot payouts from NetEnt reinforces the company’s position as a leader in the casino development industry. “The jackpots just keep on coming and we’re happy to see another player scoop a life-changing amount of money while playing our games. It’s only a matter of time before another lucky winner takes the next mega jackpot. Sign up to LeoVegas today to try your luck.